Some classroom interventions are helpful and others only make things worse. Parents can be a valuable resource. Of all the problems your kid could have, attention-deficit hyperactivity disorder seems relatively benign. But the potential long-term consequences of ADHD are scary: Kids with ADHD are significantly more likely to get injured, crash their cars as teens, and develop substance abuse problems. As a parent, that’s a lot to swallow. When my son, Nick, was diagnosed at the end of third grade, getting psychological support was a relief, but it didn’t instantly reverse some ingrained behaviors. School was especially tough — he talked to himself aloud, shouted out answers, and never sat still. As a result, he got a lot of negative feedback. He’d come home deflated, often breaking down into tears. 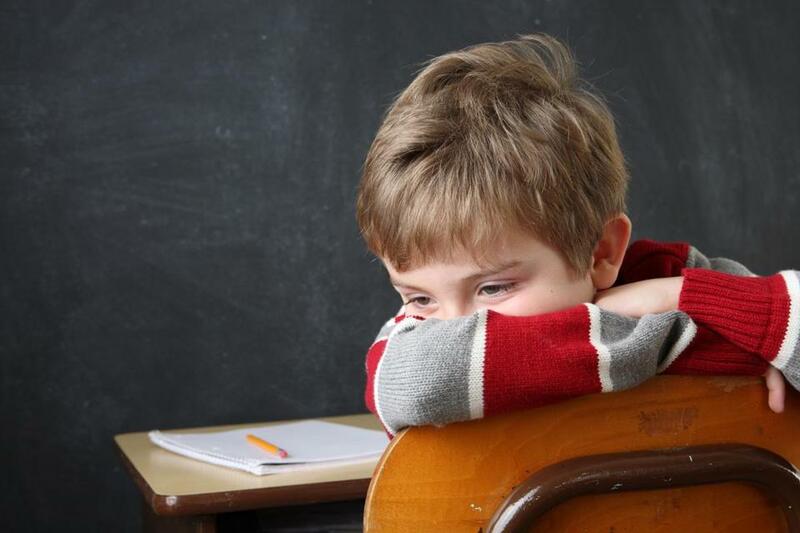 When he eventually became depressed — common for kids with ADHD — I made it my mission to ensure Nick’s teachers knew what interventions were working at home and what could help at school. Here’s what I’ve learned, and what I think every teacher should understand, too. 1. His brain’s in the fast lane, always. We think of kids with ADHD as distractable, impulsive, and, of course, hyperactive. Redefine these as curious, creative, and energetic, says Dr. Edward Hallowell, a psychiatrist and founder of The Hallowell Centers for Cognitive and Emotional Health, which has a location in Sudbury. “I tell kids, ‘You have a Ferrari engine for a brain!’ ” he says. “‘But you’ve got bicycle brakes. If you don’t strengthen your brakes, you’re going to spin out and crash.’ ” What I’ve seen is that teachers who focus on the positive strengths in these kids, while helping to moderate the fender benders, have better classroom outcomes. 2. He may not know what he did wrong. I know it’s obvious to everyone else that rolling on the floor during a math test is inappropriate. But young kids with ADHD often have an astonishing lack of self-awareness. Should he be disciplined? Absolutely. Just be sure to gently explain what went wrong, spell out where the boundary is, and offer consistent redirection to better behavior. 3. Shaming him kills his self-esteem. Teachers have accused my kid of not having a “fully formed brain,” told him he’s a “disgusting mess,” and even asked if he lacks a conscience. I get it — I live with the kid, and he’s a handful! But those comments, even in jest, crush his confidence. Instead, try a softer approach, like Hallowell’s pump-the-brakes remark. One terrific teacher used hand signals to alert Nick when he needed to regulate his behavior. What’s critical is to help kids with ADHD take responsibility for their actions rather than make them feel unworthy. 4. He’s really hard on himself. Because kids with ADHD are often distracted and disorganized, parents and teachers tend to squawk at them all the time. As a result, they perceive themselves as inadequate. My son gets great grades and reads far above grade level, but will describe himself as stupid and lazy. Kids with ADHD “feel constant rebuke,” says Jason Kaufman, a child and family therapist with the Justice Resource Institute, which provides social services throughout Southern New England. They get labeled as careless or uninterested, but typically they’re putting in much more effort. 5. He needs ownership in the plan. John Beach, a licensed educational psychologist and cofounder of a nonprofit psychological services center in Yarmouth, recommends that teachers ask students for input about the learning environment, especially for work that went well. Our aforementioned terrific teacher created a daily rubric Nick could fill out to assess his mood, behavior, and goals. This helped him focus, and also showed that his perceptions frequently differed from his teacher’s. 6. School and home might be different worlds. Arriving at school once for a class play, I was surprised to find that my self-described “unpopular” son not only had the lead role, but played it with goofy exuberance. When I wondered about it aloud to a mom friend who also substitute taught, she said she saw Nick as the beloved class clown. It’s common for kids with ADHD to act differently; teachers and parents should compare notes to ensure they’re addressing the same issues. 7. Let me be a resource. Parents of students with ADHD — whether or not they have formal accommodations like a 504 plan — should help equip all teachers (not just homeroom) for success. Have brief, regular discussions about the child’s strengths and weaknesses. Teachers, you can ask me about meds, but know they aren’t a panacea. Inquire first about symptoms, behavior, triggers, and what interventions have worked previously. Now a rising sixth-grader, Nick is doing well. Some things (like time management) remain a challenge, but inside and outside of school, he knows ADHD is no excuse for bad decisions. Parents and counselors, of course, have a role to play, but teachers also wield a lot of power. We’re grateful to those who have helped steer him in the right direction. Meaghan O’Neill is a writer based in Newport, Rhode Island. Send comments to magazine@globe.com. Get the best of the magazine’s award-winning stories and features right in your e-mail inbox every Sunday. Sign up here.